Just a few weeks after another big merger in America’s Salad Bowl, Taylor Farms has acquired Earthbound Farm. 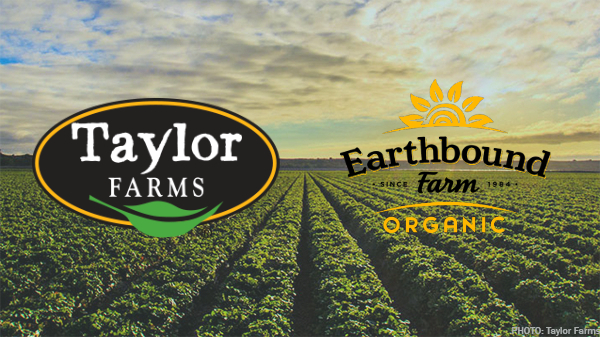 Taylor Farms plans to run Earthbound Farm through the Taylor Farms Retail Group to help “lead growth in the dynamic organic fresh produce category,” according to a news release. Danone acquired Earthbound Farm in 2017 when it acquired WhiteWave Foods for $12.5 billion. WhiteWave Foods acquired Earthbound Farm in 2013 for a reported $600 million. A press release from Danone said Earthbound Farm, the largest supplier of organic salads in the U.S., had sales of $400 million in 2018. Various media outlets said Danone was looking to sell off Earthbound Farm for more than a year. Terms of Taylor Farms’ acquisition were not disclosed. This isn’t the first big acquisition in America’s Salad Bowl over the past few months. In late January, Church Bros. acquired the commodity vegetable business from Growers Express, for an undisclosed sum, expanding the company’s volume an estimated 15% to 20%, and giving it a larger retail footprint with the Green Giant Fresh brand. Pamela Riemenschneider is the Retail Editor for Blue Book Services.